I was just wondering if anyone has some short and sweet wording for ads that can be placed on the different support groups that we ALL belong to . Take the time to visit us at www.SendOutCards.com/2890. With over 5,000 cards and postcards to from, your selection is practically endless! You can end the headache of shopping for just the right card for that business prospect or personal friend. Carlos Scarpero www.ItsAboutResults.com I'm using the "please send a card to our troops" tactic. I made a whole website about it at www.greetingcards4heroes.org. With message boards, this is going to work a lot better as a lot of the moderators will delete ads. Set up an automatic gift account and encourage them to send the cards and you will do fine. Great idea to send a card to our troops! they need all the support we can give them. They are fighting for our freedom and since we have gone to the middle east we have not had any planes flying into any more of our American soil. We took the war to their turf, which of course, makes it much harder for our men and women who have signed up for this courageous duty. Do you have addresses of any troops I can send cards to? 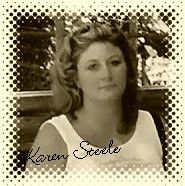 Karen Steele Great Ideas, I love them all. I will be posting some more marketing ideas later today, be watching for them. I just am starting my SOC biz and I love it! I have a killer coach, Diane Walker, do you know her? Looking forward to any and all advertising and demo ideas! Carlos Scarpero www.ItsAboutResults.com Yes, I do. My site at www.greetingcards4heroes.org has the soldier's contact resources listed. Congrats on your new card biz! Welcome to SOC and Diane Walker is terrific. Karen Steele Yes, Diane is awesome! Did anyone get on the call tonight? They had an awesome marketing tool for everyone. www.socwalkthrough.com That is my tip for the day. Wishing everyone great success! Carlos Scarpero www.ItsAboutResults.com Wow, that looks like a nice one! Thanks to whoever put it together! Saw your post with your ad. Did you know you can have a word instead of your ID code? www.SendOutCards.com/2890 could be ...com/sandy or even ...com/endless! On the Main Menu go to Edit Personal Info and down the bottom is the box for Site Path. Hope this helps your ad be even more attractive for buyers. Small Biz Referral Marketing... For Results! Martin Russell The ad was earlier up in this thread back in March. It still may be a good idea to have a domain name, but you can have the site path changed, and then the domain name can redirect to that. This feature doesn't seem to be in any of the SOC literature. I just saw someone else using it and asked them how to do it. Glad to pass on the info. P.S. Like finding good domain names, the site path will get very crowded at some stage either when they announce it on a call or as SOC grows, so I'd suggest picking a good one ASAP. Let's try and keep these conversations going. It's very helpful to get fresh ideas!